This is our high quality Grill Rotisserie Kit which provides a hassle free way to cook roasts, chicken and turkeys. It is made of 304 stainless stain and our BBQ Grill Motor can hold up to 50 lbs capacity. The balance kit promise the smooth turning and less Motor wear. Two spit forks can be adjusted according to the size of the food and the grate bracket is suitable for almost grate. The BBQ Motor features on/off switch and auto reverse function, when you turn off the power for 10s or encounter resistance will automatically change direction. Brand new and high quality Including IPX4 water-proof Stainless Steel Rotisserie Motor, 3/10" square spit rod, meat folk, Motor Bracket, balance block, handle. Universal rotisserie suitable for most 3, 4, 5,burner Gas BBQ Grill. Looking for ideal Universal BBQ Rotisserie Kit With Motor Manufacturer & supplier ? We have a wide selection at great prices to help you get creative. All the Stainless Steel Rotisserie Kit are quality guaranteed. 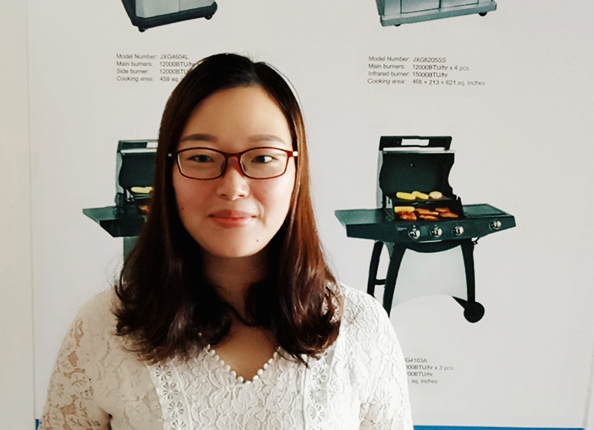 We are China Origin Factory of BBQ Rotisseire Driven Motor. If you have any question, please feel free to contact us.